Dry to moderate moisture. Woods. Partial sun to full shade. The glumes are usually absent. If present, they are usually greatly reduced in size and scale-like. The lemmas are hairless and smooth or rough to the touch. 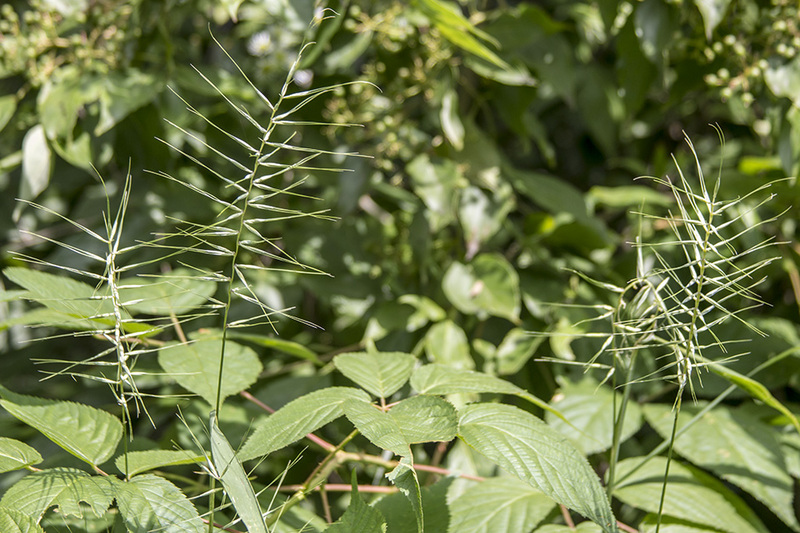 Bigelow’s bottlebrush grass (Elymus hystrix var. bigeloviana) lemmas are hairy. It is much less common. 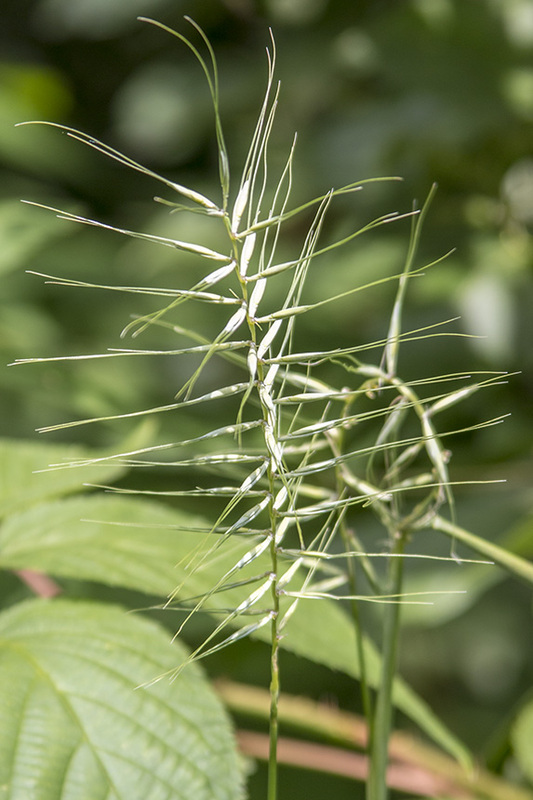 This species was originally described by Carl Linnaeus as Elymus hystrix. In 1794 it was moved to a new genus based on the glumes being long setaceous or absent, and became Hystrix patula. 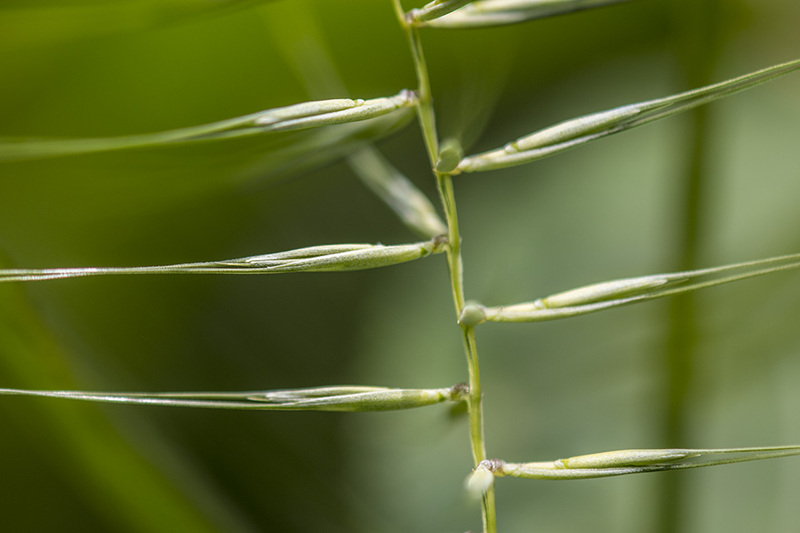 DNA studies have subsequently determined that it does indeed belong to the genus Elymus, and it assumed its original name Elymus hystrix. 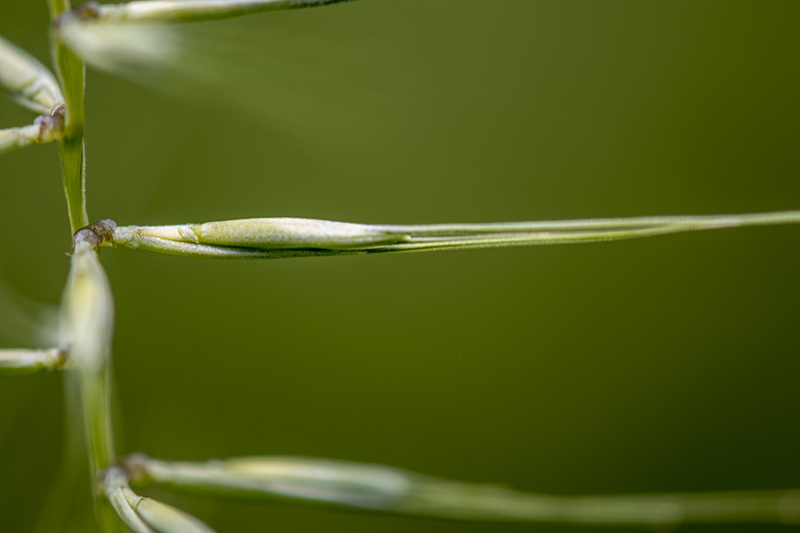 A chaffy, empty, sterile bract at the base of a grass spikelet. Glumes usually occur in pairs, but occasionally only one is present. 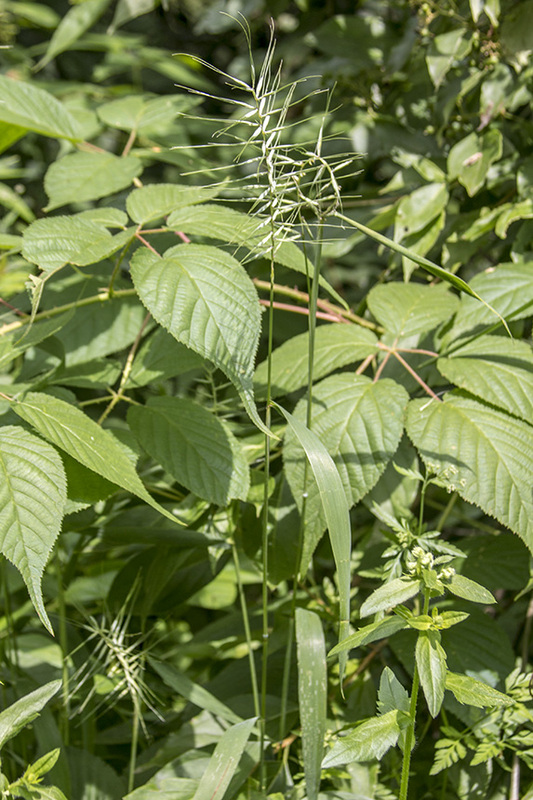 The outer, lowermost of the pair of bracts at the base of the grass floret; it ensheaths the palea.